Dubai, UAE, November 06, 2018: National Geographic season 2 of the critically acclaimed series mars will premiere on November 15 with new and returning mars crew and real-world big thinkers in six-episode series. The genre-busting Mars series taps into World-renowned Experts in Human Exploration, Including Elon Musk, Michio Kaku, former NASA Chief Ellen Stofan And Author Jared Diamond and delves under the Martian surface to confront the demands, perils and advantages of colonizing the Red Planet. Hailed by critics as “thought provoking, “visually stunning,” “ambitious,” “wonderfully innovative, imaginative and intriguing,” MARS season two is set to premiere in the Middle East on National Geographic on Nov 15 at 9:00pm UAE time | 8:00pm KSA time. The network partners once again with Brian Grazer and Ron Howard for this second season’s six-part series, which takes place five years into the future after the Daedalus astronauts have built a full-fledged colony -- Olympus Town. Having established humankind as an interplanetary species, MARS examines the impact that humans have on the Red Planet and the consequences the planet has on us. Informing the future dramatic sequences at Olympus Town, MARS assembles the world’s most brilliant, diverse and contemporary experts within its documentary passages, including Elon Musk, founder and CEO of SpaceX; Michio Kaku, preeminent theoretical physicist and futurist; Ellen Stofan, former NASA chief; and international bestselling author Jared Diamond (Collapse and Guns, Germs and Steel). But this season, the documentary sequences go beyond the world’s leading experts to reveal even more dramatically the potential challenges that we could confront on MARS with real-world scenarios we are facing today on Earth. The second season of MARS builds on the huge success of the first season, which was lauded for its unique hybrid of futuristic dramatization and documentary sequences and was the second-most-watched series in National Geographic history, looks at what life will be like when we are an interplanetary species. 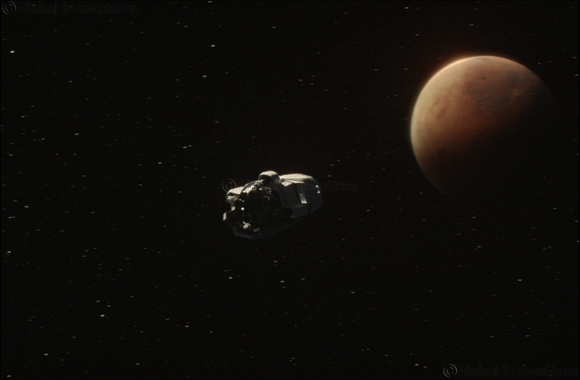 MARS is produced by Imagine Entertainment and RadicalMedia for NGC. For Imagine Entertainment, Brian Grazer, Ron Howard and Michael Rosenberg are executive producers. For RadicalMedia, Justin Wilkes is co-creator and executive producer, and Jon Kamen is executive producer. For NGC, Matt Renner is vice president, production; and Tim Pastore is president, original programming and production.